"Ran across your website and it motivated me to dig into my old archive. 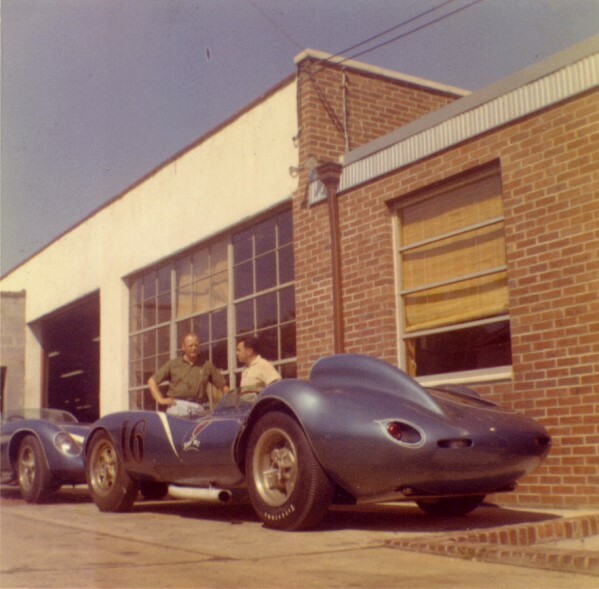 Here are two pictures from Henry Pickett who was the Scarab transporter driver/ mechanic for years. Locations unknown -- I forgot the stories! Henry was an old friend of Phil Hill's and was in the background for many years with Scarab and other times. I wish I had more scans from his personal collection when I had a chance to look through his stack of faded pictures 12 years ago..."
"I figured your readers would be interested in these historical pictures that probably have never been seen before except for a handful of us at Tuesday lunches many years ago. They might be able to identify the people /locations also." 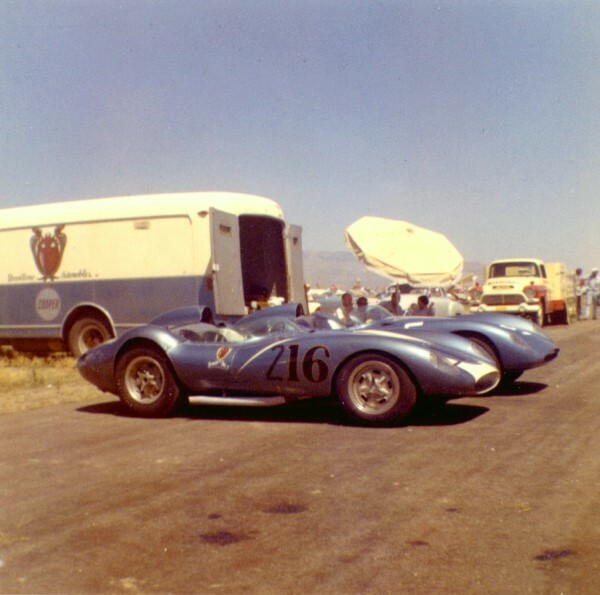 "I’m dead certain that the photo of the Scarabs parked in the paddock by the transporter was taken at a race in Minden, Nev."